While these projects can range in difficulty depending on the severity of the leaks and clogs, or the brand of plumbing fixture, with a little bit of elbow grease you should be able to manage these things on your own. If however, you've been attempting to handle these things on your own and it's just not working out, call a plumber. The problem could be deeper than a surface level toilet clog or leak. Not all plumbing problems are created equal, while a clogged drain or leaky faucet might just require a simple fix, there are some plumbing issues that are just too complicated to tackle on your own. Anytime you have to get at the pipes under the floor, in the ceiling, or behind a wall, you should call in professional help. Here are a few examples of plumbing projects you need a pro to handle. If the problems you're dealing with fit into the above or similar categories, you should call a plumber right away. They will have the skills, knowledge, and equipment to get the job done correctly without causing any further damage to your home's plumbing. 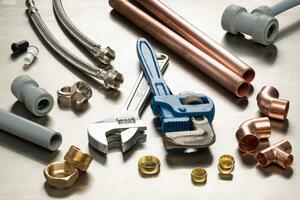 Looking for a plumber in Upstate South Carolina? Call Ken's! We've been serving homes and businesses in Greenville and surrounding cities since 1991 and our team of certified professional plumbers can handle your plumbing projects the right way! Give us a call or contact us online about your plumbing needs today!